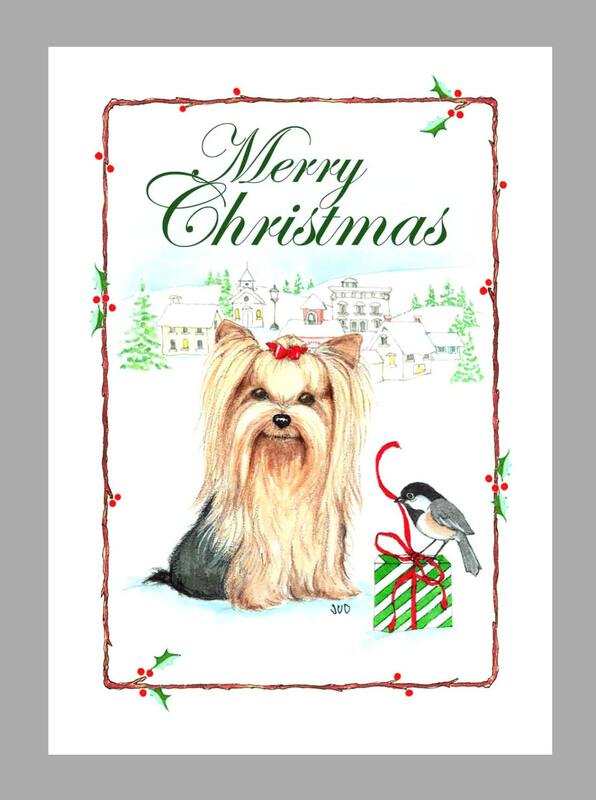 Express your Holiday Wishes with family and friends with this charming Yorkshire Terrier Christmas card. Inside: Wishing you a warm and cozy Holiday! Original mixed media art by Judy Ziegler. Box of 16 cards 5" x 7" Printed on Recycled paper with 16 white envelopes, Printed in Oregon, U.S.A. These are a great addition to my collection of cards. They are nicely done. Great seller.